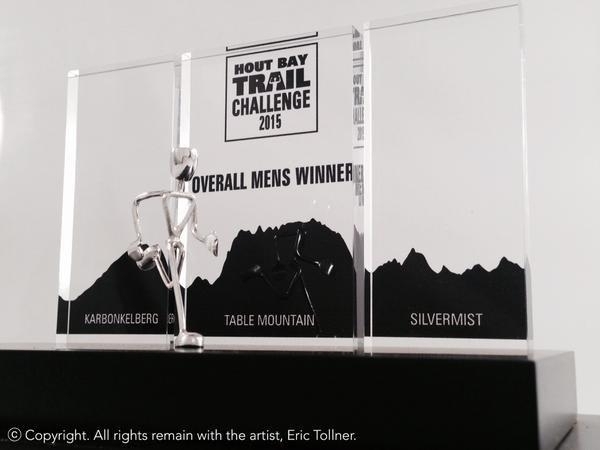 The new look trophies for the overall mens and ladies winners of the Hout Bay Trail Challenge. The Hout Bay Trail Challenge is a gruelling, well established, and long standing trail running race,covering around 40kms over the mountains surrounding Hout Bay. ← The Runner / 50th Birthday, Sculpture.